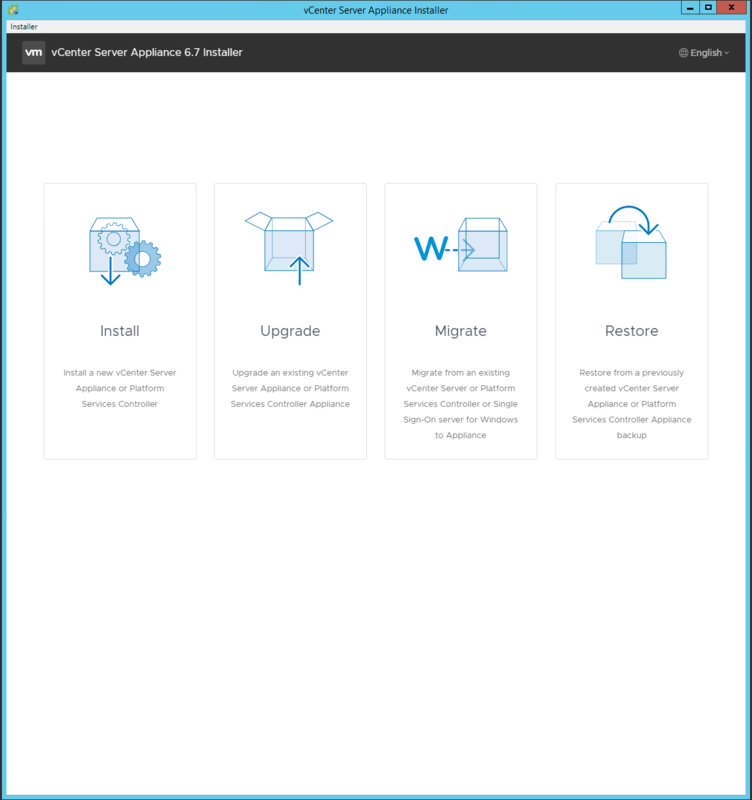 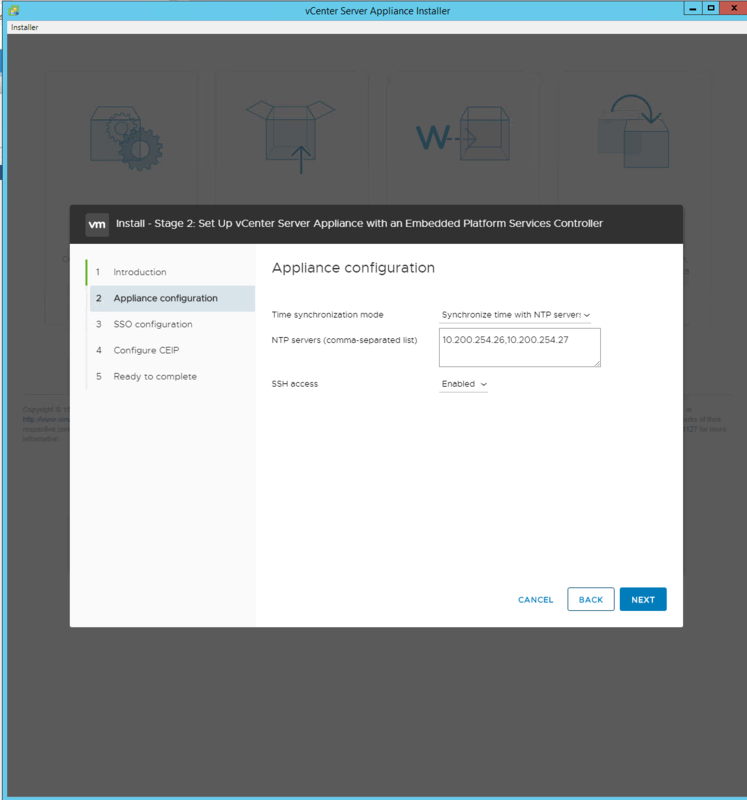 This post has been constructed using the vCenter Server 6.7.0 U1 (Build 10244745) release. 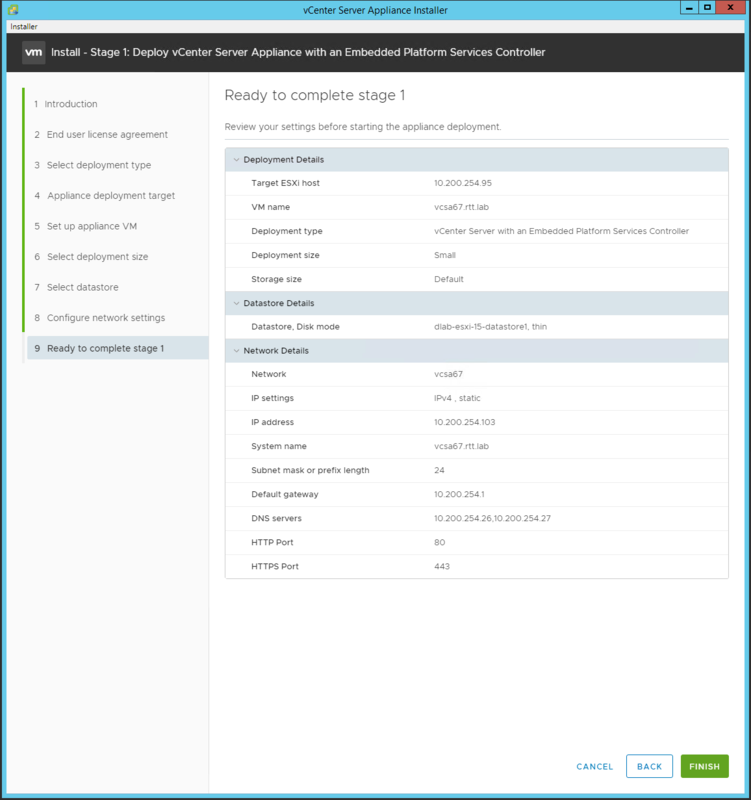 If you have used vCSA in vSphere 6.0, the deploy process has now been broken into 2 stages (1. Install, 2. 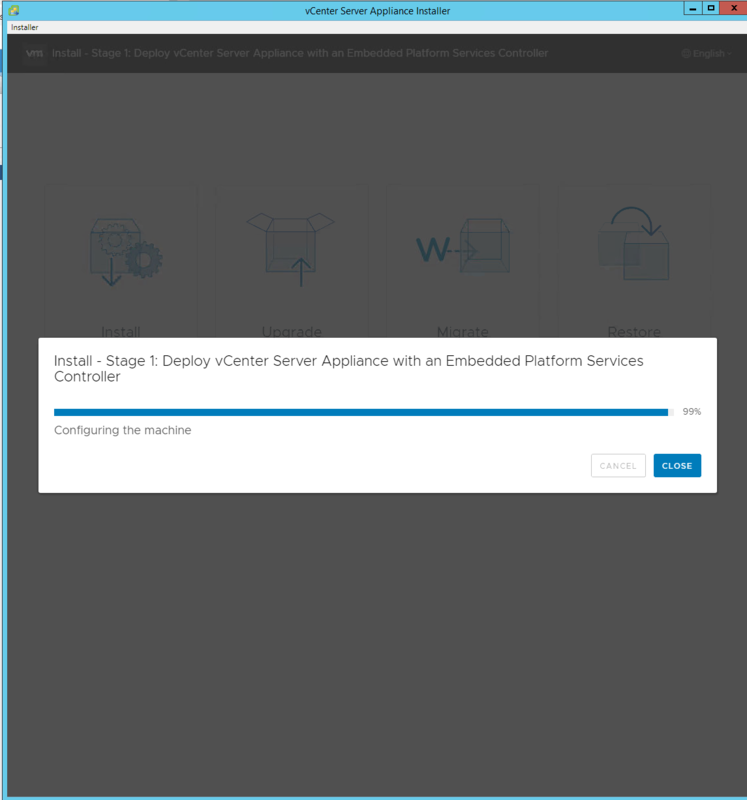 Setup) and you no longer need the VMware Client Integration Plug-in. 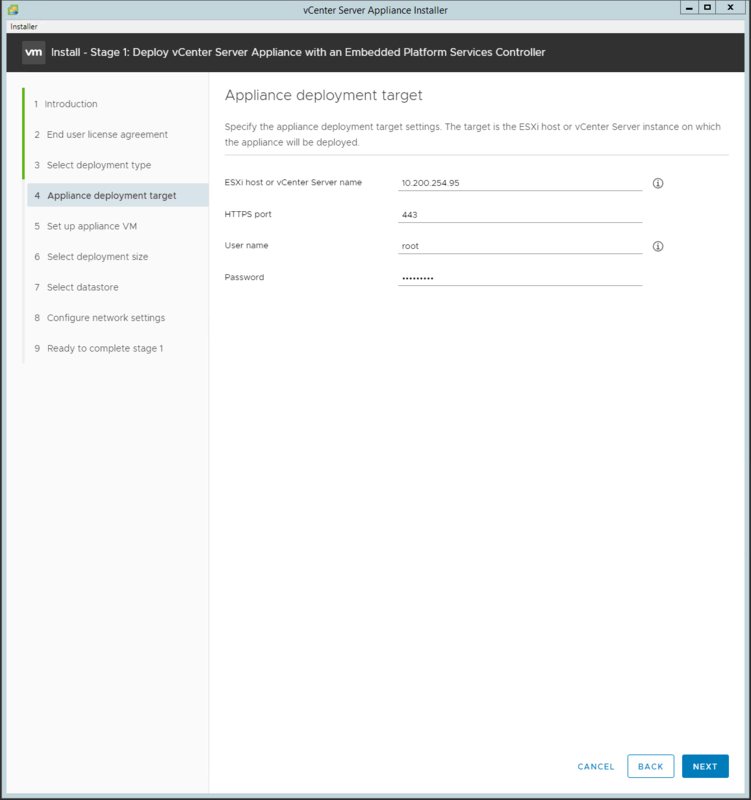 This also includes the ability to deploy to hosts that will not be reachable from the vCenter Server Appliance (eg. 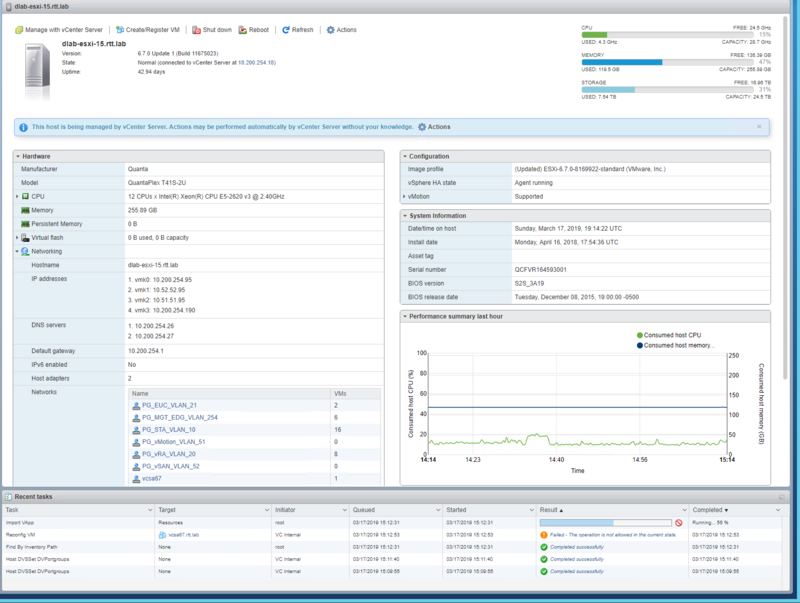 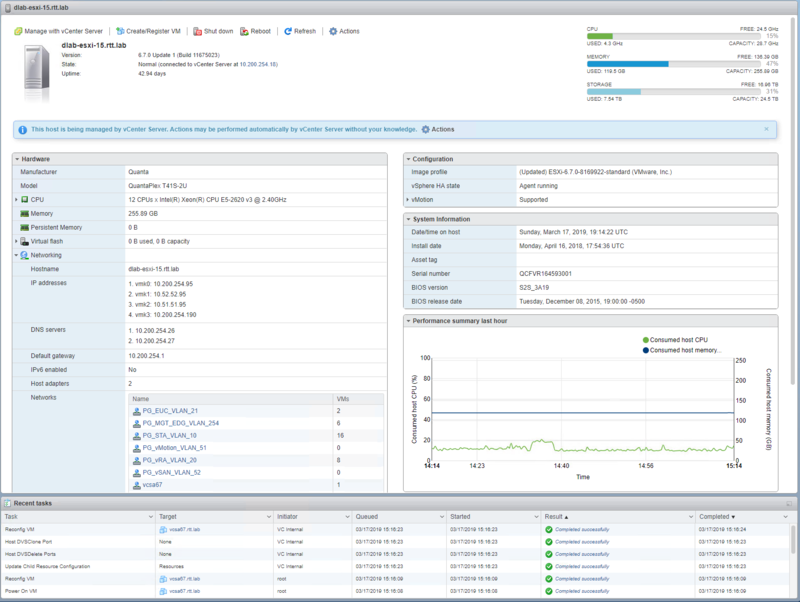 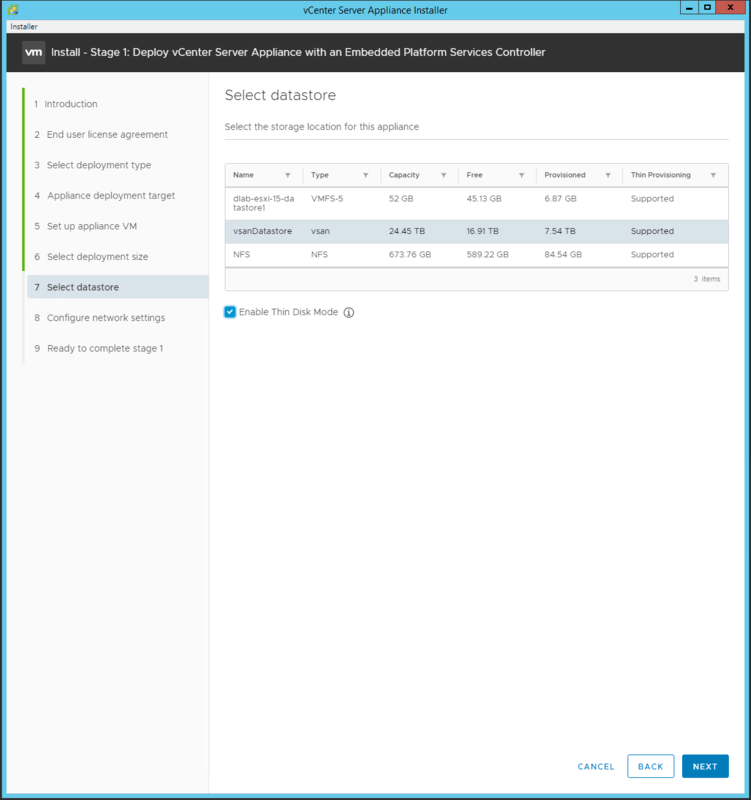 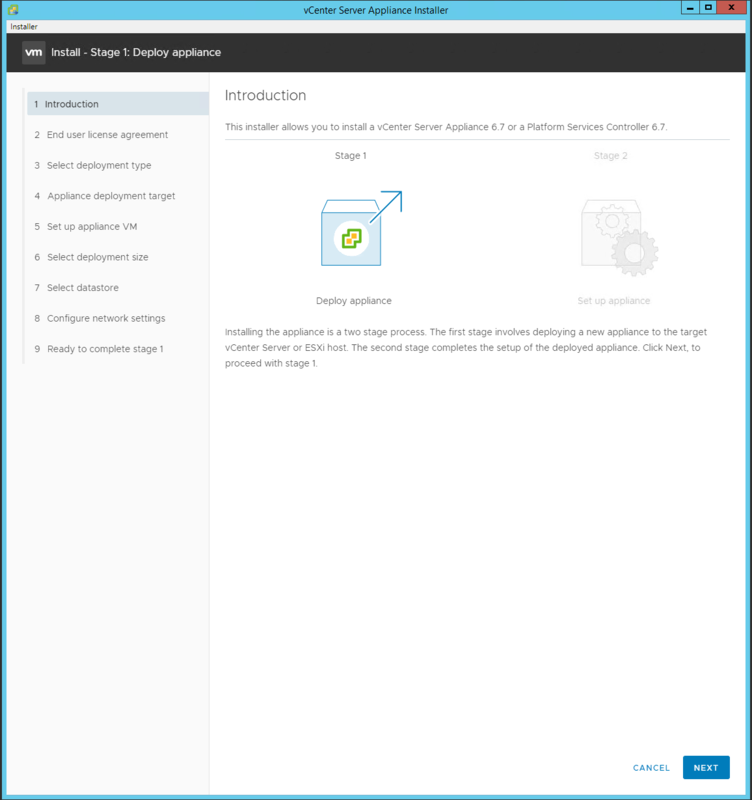 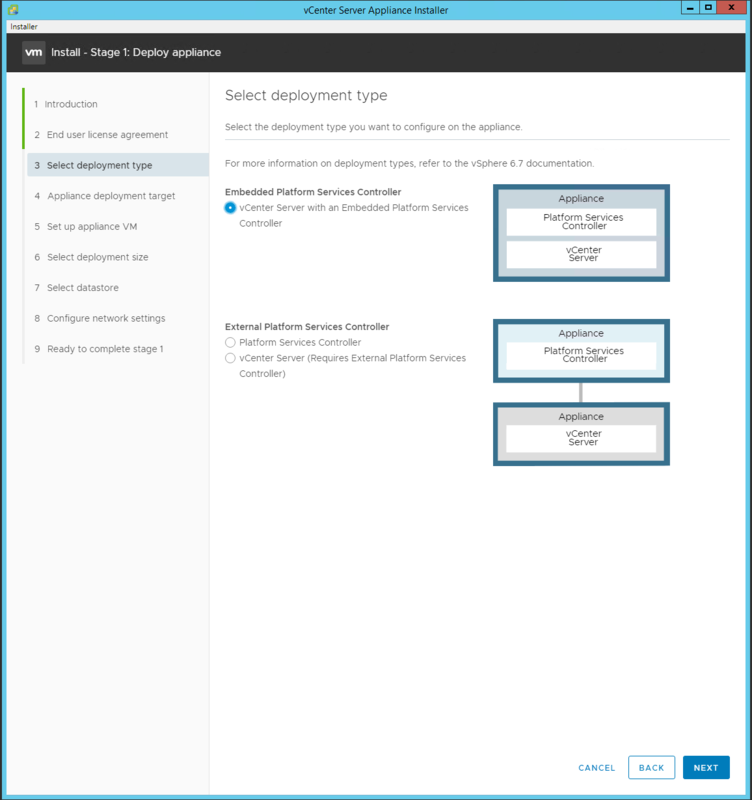 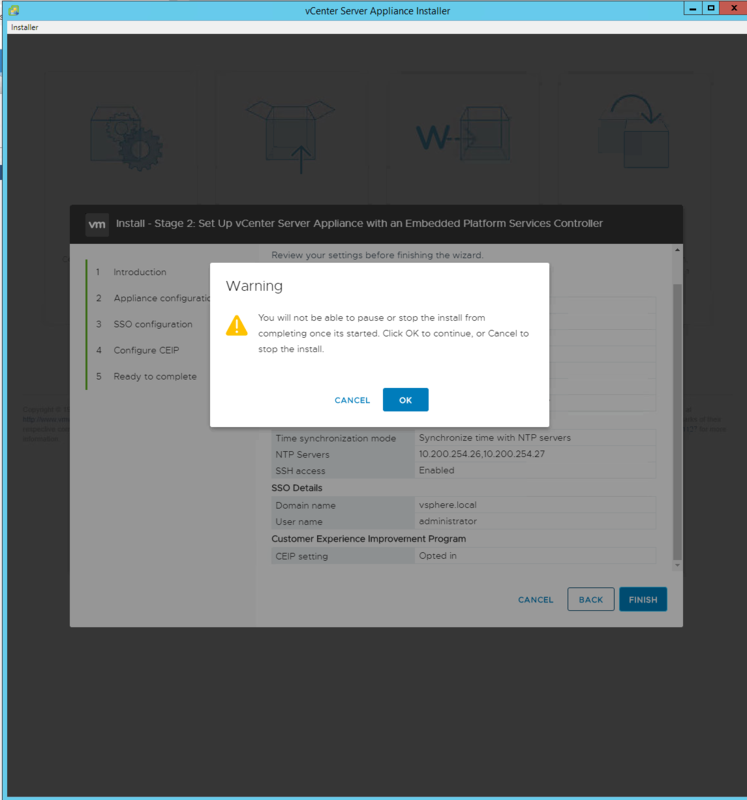 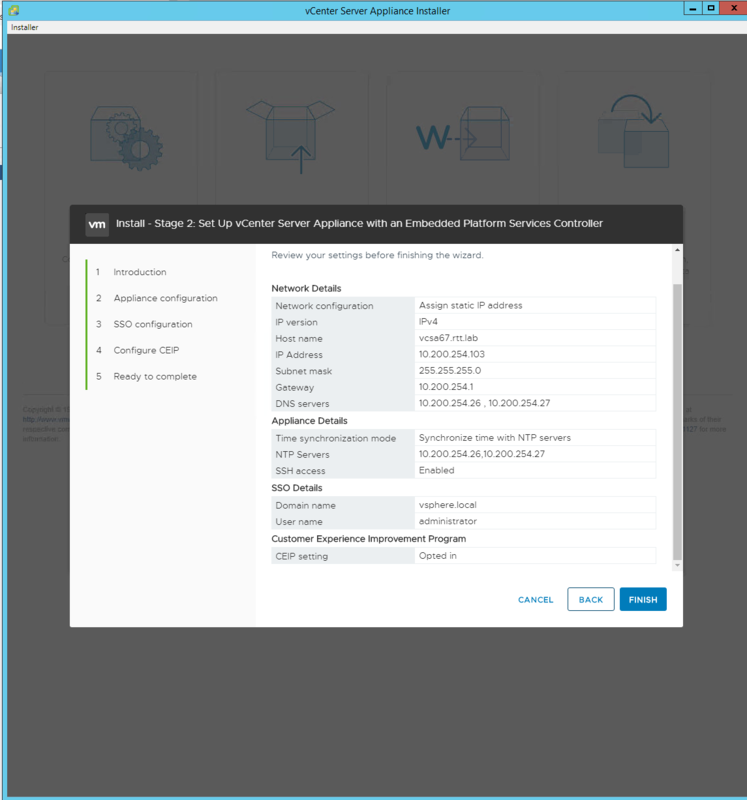 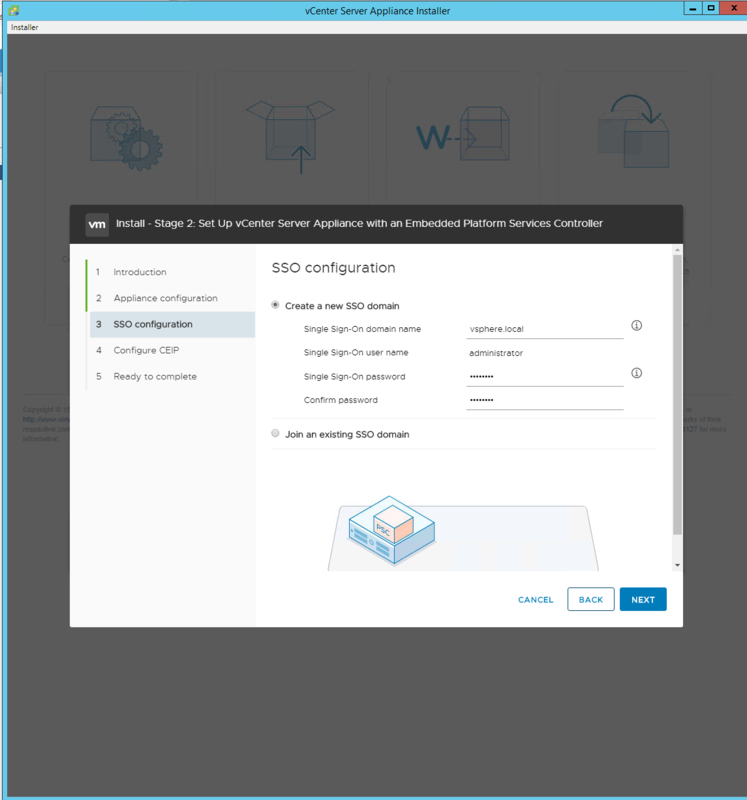 vCSA in Management cluster that connects to Resource hosts) and you have the ability to correct an error via Retry in Stage 2 where the appliance is not deleted if the setup fails. 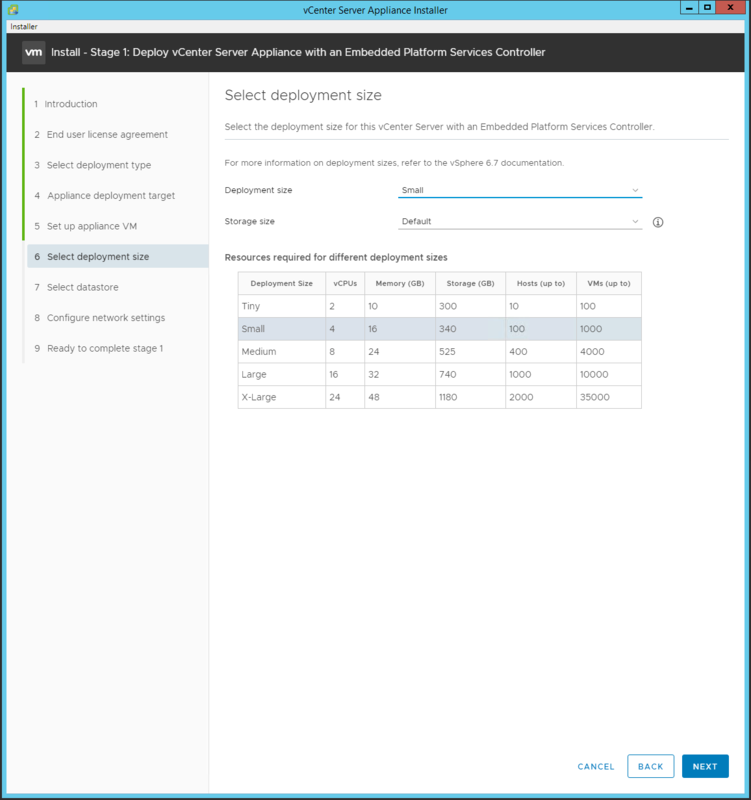 You can also use the UI or Shell methods to deploy vCSA from Windows, macOS and Linux Operating Systems. This post uses the Windows UI method. 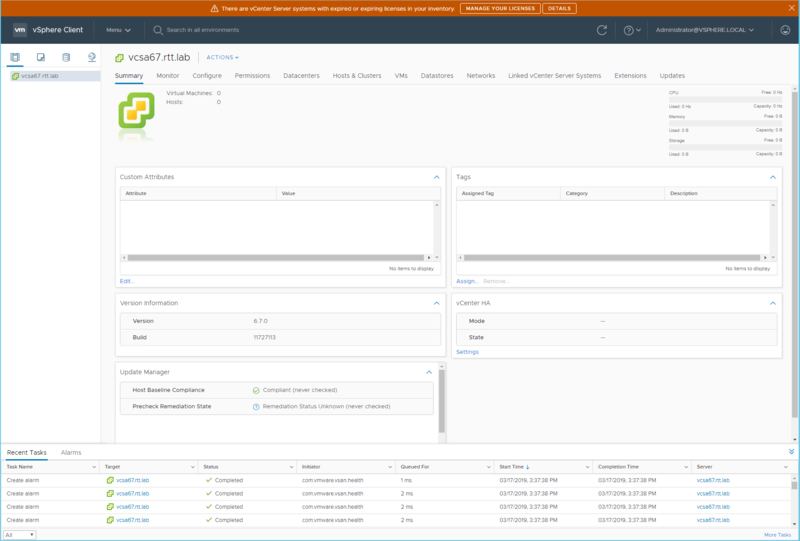 The vSphere Client (HTML5) is now fully functional, there is no need to use the vSphere Web Client (FLEX) anymore. 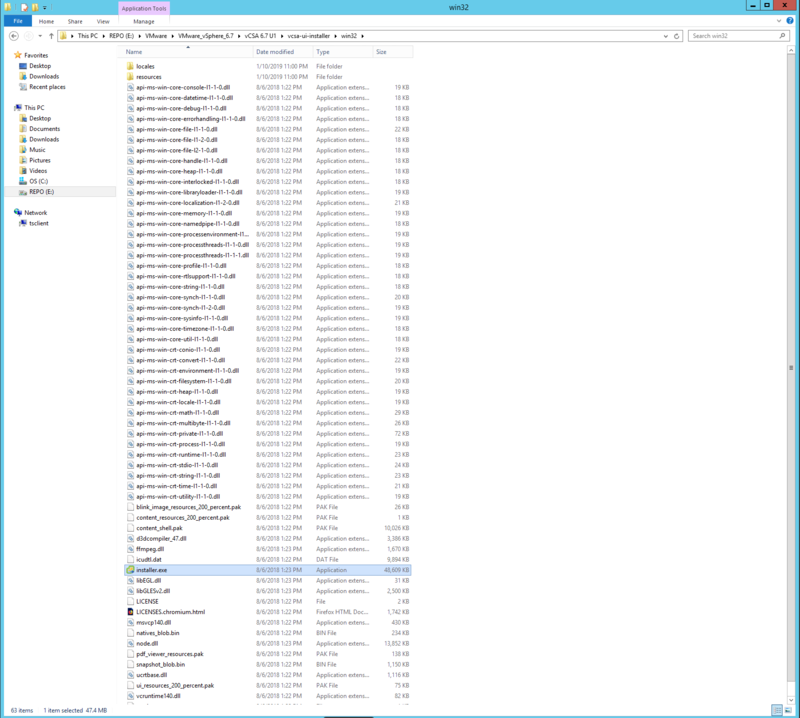 You have the vCSA 6.7.0 U1 ISO image. 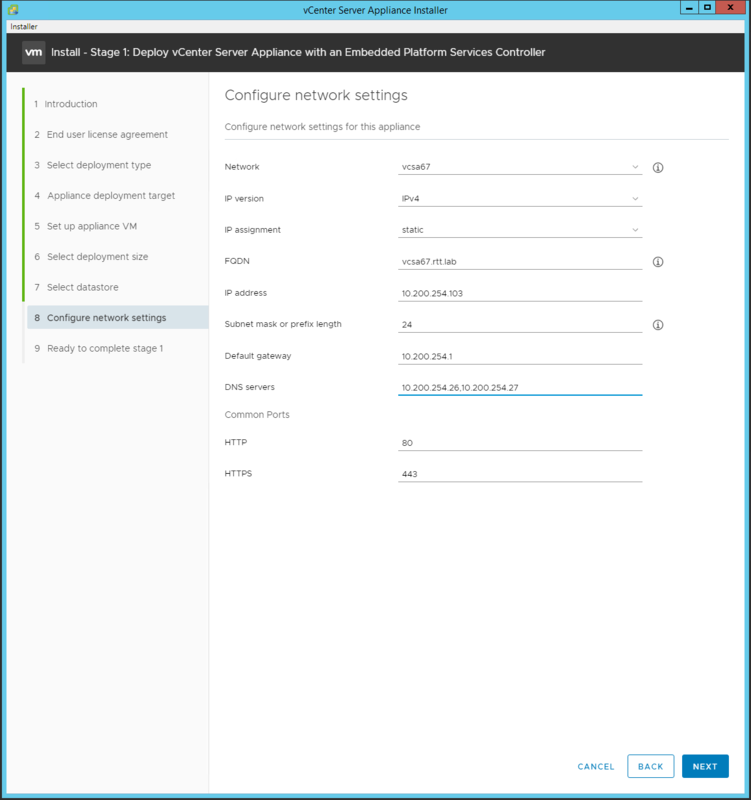 In the “Configure network settings” window, select the Network (vDS Portgroup must be ephemeral or vSS Portgroup), IPv4/IPv6, IP assignment, enter the FQDN, IP address, Subnet mask, default gateway, DNS servers, HTTP/HTTPS port numbers and press “Next”. In the last section below, you can use the Host Client to monitor the install progress and assist in resolving any issues you may have. 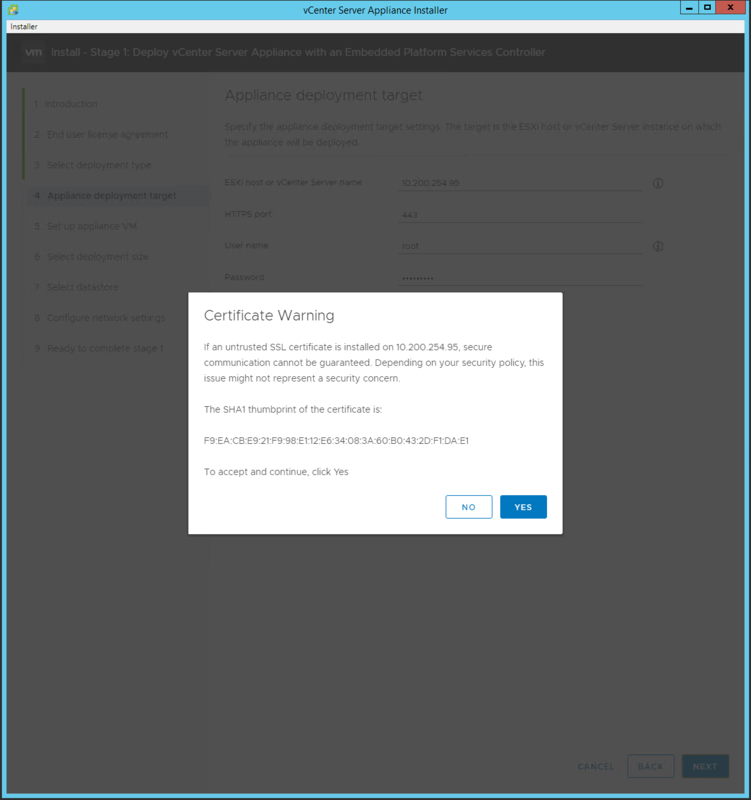 In the “SSO configuration” window, set the SSO domain name, enter the administrator Password and press “Next”. 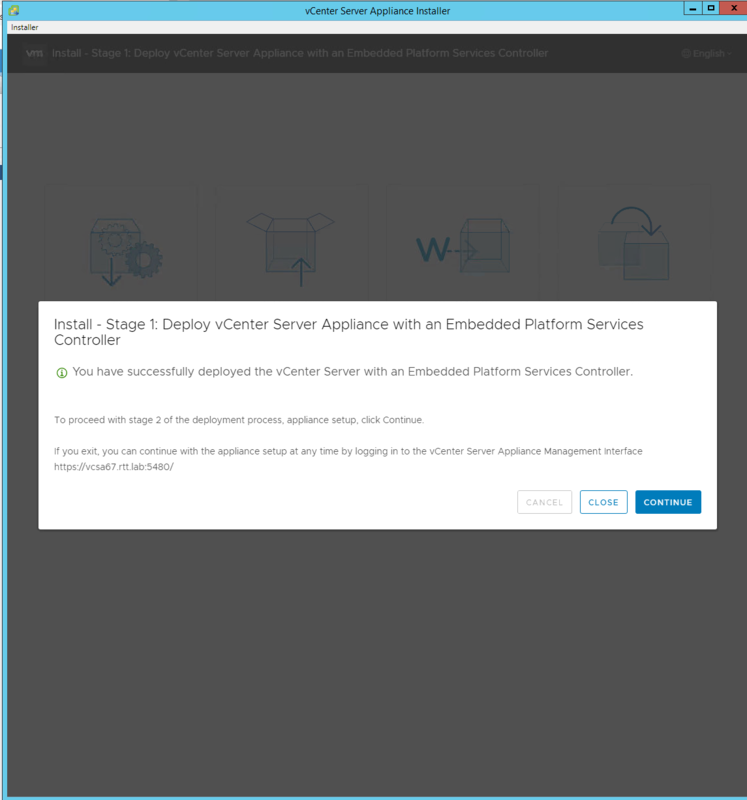 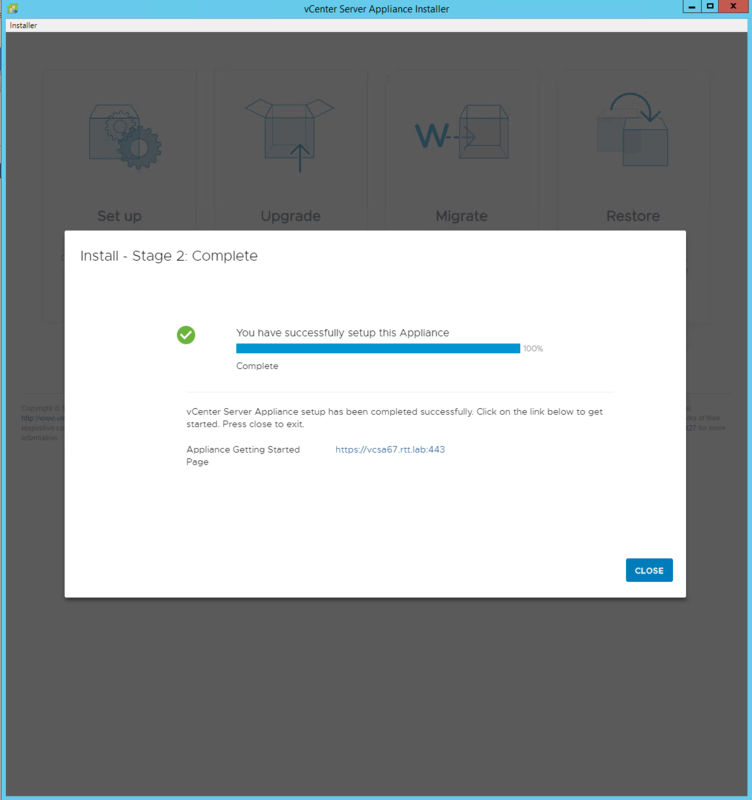 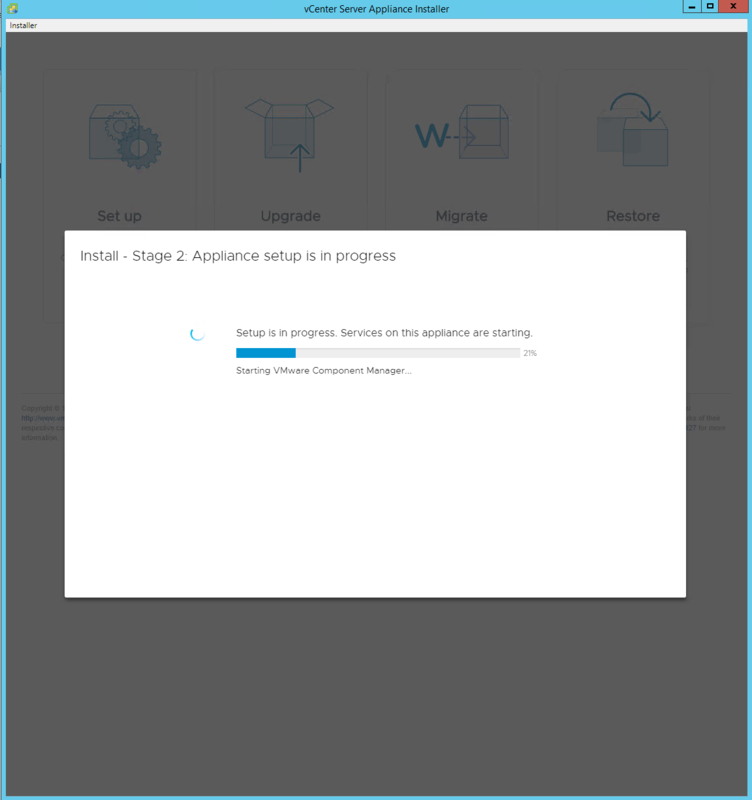 When the message “You have successfully setup this Appliance” appears, record the Appliance Getting Started Page hyperlink and then press “Close”. 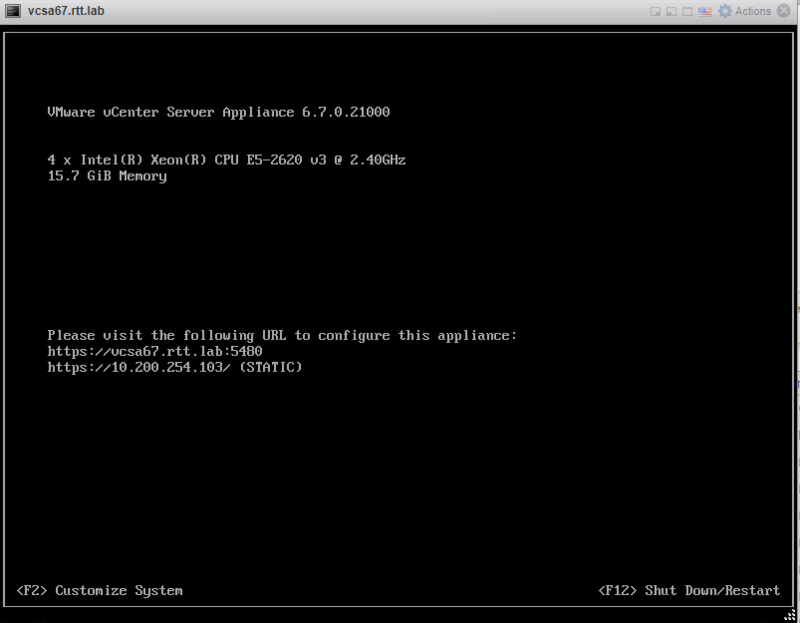 The vSphere Client will open to the “Home” screen. 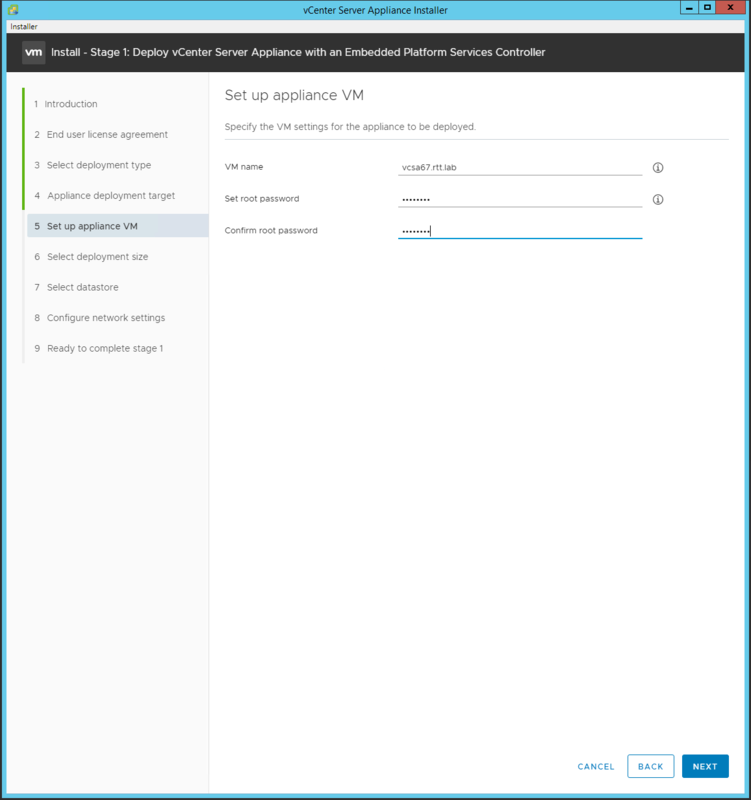 NOTE: From the Appliance Getting Started Page, you can access the HTML5 vSphere Client, which is fully functional. 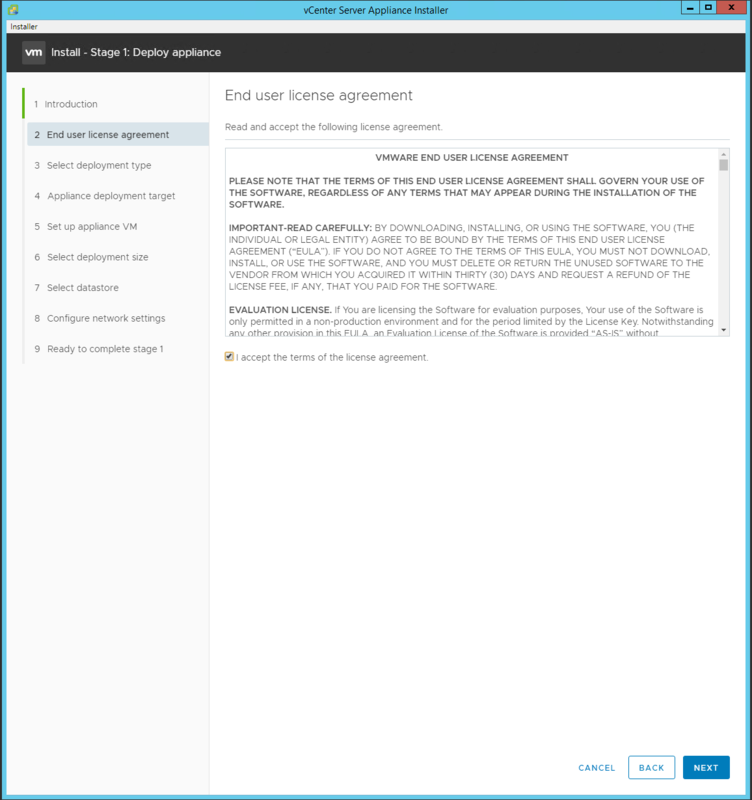 There is no need to use the vSphere Web Client (FLEX) anymore. 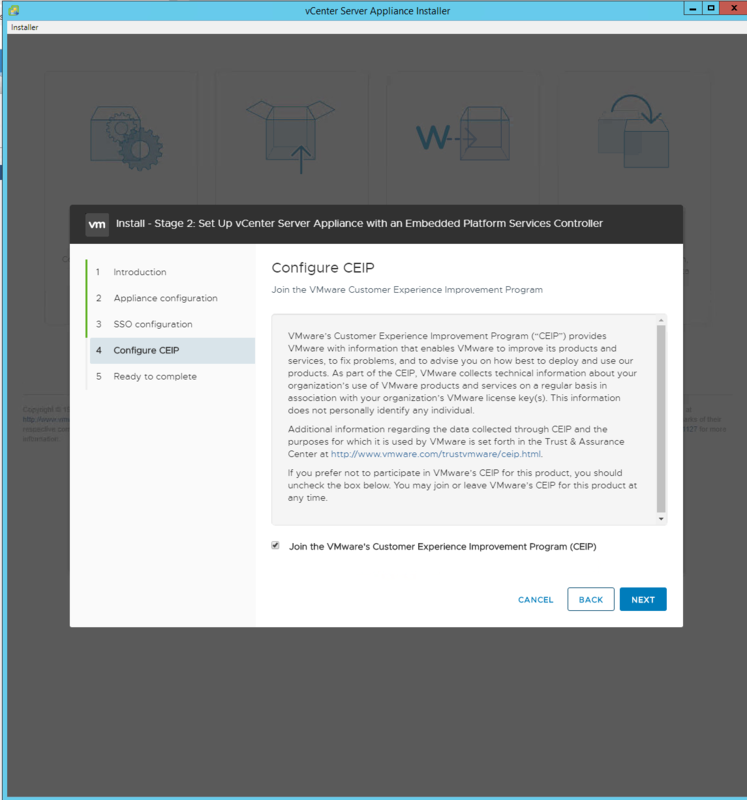 Use the Host Client to connect to the ESXi Host you are deploying vCSA to.